Blockchain is poised to fundamentally alter many industries, among major ones is the retail trade. In Retail, one of the most important aspect is earning customer trust- which is difficult to gain and easy to lose. In the era of digital transactions, finding a way to solidify consumer trust is pertinent. Therefore, Blockchain in Retail offers a promise in this area. Despite huge coverage of its implications in the financial industry, blockchain has a lot to offer. It proffers consumer goods and retail industries huge opportunity for engendering consumer trust. We have already discussed what blockchain is and how it works, now let’s find out how it is applicable to the retail sector. How to apply Blockchain in Retail? Be it for eradicating labor-intensive documentation or gaining customer trust – blockchain can open up huge opportunities for retail companies. There has also been a lot of activity around supply chain use cases in terms of proof of concepts and pilot projects- mainly around tracking back products to their manufacturer and product tracking. Blockchain brings digital agreement, consistency and precise records to organizations that have struggled to achieve the same with traditional technologies. Market research says that blockchain can reach a level of critical adoption by the year 2020 and even gain acceptance from the consumers by 2025. Furthermore, Retail Potential also claims that the technology can improve the efficiency of the process from 40%-to-60%. With so much research and statistics in favor of blockchain, retailers are bound to be eager about the possibilities it can offer and to explore them as a chance to stand out as an industry thought leader. Although it’s still in its blossoming stage, blockchain in retail technology seems to be intended to restructure operating models and competitive requirements across the industry. Transparency is the key element of Blockchain technology. It enables peer-to-peer transaction, due to which even the smallest change is registered in the ledger. Both the parties can view this ledger and thus, there is the minimal possibility of cheating. Besides this, the customer can be aware of the origin of the product- and details such as the manufacturing date and other information that would affect their purchasing decision. This way, you won’t be lured into buying fake and knock-off items and be able to tell where your product comes from and what was used to prepare the item. Provenance is a platform which helps the brand to offer the particulars of the origin and history of the product. The Blockchain is the technology underpinning this – it allows all the parties, that are the manufacturer, the seller and the consumer to track the product’s journey. With the increasing complexity of SKU (Stock Keeping Unit) management and shorter product lifecycles, sales forecasting has become harder for big house fashion apparel retailers. 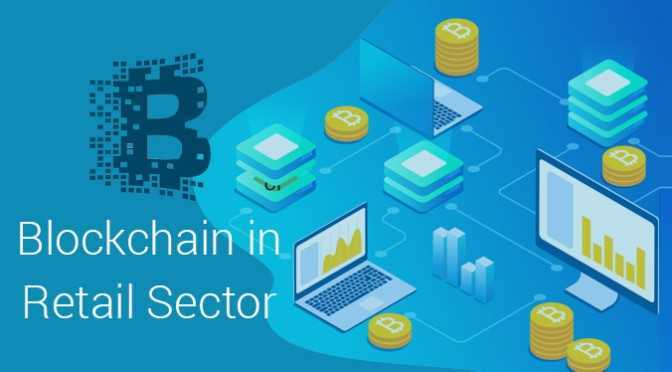 Their retailers and their supply chain partners can implement blockchain technology that can provide a single source of facts and utilize smart contracts to enable the automatic execution of payments and orders. The improved visibility in the supply chain would increase operating efficiency and permit more accurate forecasts, preventing over-ordering and minimizing lost sales due to stock-outs. Statistics say that more than $117 billion are issued in customer loyalty rewards by businesses in the US each year. In fact, many companies today have expanded their programs to cover more than one brand in order to increase customer satisfaction and at the same time reducing their liability. Consumers face the challenge of tracking the many loyalty programs they are registered in, and many of the loyalty points created each year go unused- therefore leading to balance sheet liabilities. A blockchain application would assist users to easily redeem the points across different merchants and platforms (e.g. Android, iOS and web)- minimizing operating costs, decreasing the possibility of fraud and improving customer satisfaction and decreasing liabilities. One of the biggest challenges cryptocurrencies face is being accepted as real currency – the banks have to be willing to hold on to digital currency as deposits and participate in exchanging of the currencies with cold-hard cash for cryptocurrencies to be accepted. Various banks are experimenting with blockchain technology to do more than take deposits and trade currencies. In fact, Blockchain Council explains “28 banks are now working on how they can use cryptocurrencies for cross-border transactions which will facilitate more business”. They are using SWIFT-based blockchain proof-of-concept in order to find out if they can use it to settle cross-border transactions. Outside of banking, blockchain is being planned in more terms of “smart contracts”- basically private blockchains- that will update automatically over time- recording all the actions happening concerning the contract, if the seller, buyer, third parties are acting on either party’s behalf. Whether the blockchain technology can be utilized to replace the traditional letters of credit, is still being researched. For retailers, this means that there will be more digital exchange of data, less paperwork and smoother transactions across the borders and across multiple parties, – once it evolves beyond the proof-of-concept phase. Blockchain in retail in future will not only assist retailers to accept cryptocurrency payments, but the digital records created will also assist in streamlining the returns and refunds process. Big purchase items such as houses or cars can also have their ownership verified to decrease the resale of stolen goods. Online travel company Expedia is already accepting Bitcoin payments for hotels. Plus, E-commerce platform Shopify also lets its users take bitcoin payments. IBM and Walmart are using blockchain to track products- right from the farm- through every supply chain stage – to the shelf. The adoption of blockchain in retail may not happen next year, but rest assured the technology is here to stay. Things are on the verge of changing. For customers, blockchain has a very evident benefit of putting them in a position where they can shop smarter, safer and make better purchasing decisions. Meanwhile, there are enough developments out there for both customer and business applications that it’s time for businesses to pay attention-hard and fast-to see where its headed next. Businesses will soon need to create a cohesive blockchain strategy, one which their company can thrive on. What does Blockchain have to offer in DevOps?